At thirty-eight and a quarter years old, Paris native Camille has everything she needs to be happy: a good job, a loving husband, a wonderful son. Why then does she feel as if happiness has slipped through her fingers? All she wants is to find the path to joy and fulfilment. Camille’s journey is full of surprising escapades and richly meaningful lessons, as she sets out to transform her life and realize her dreams one step at a time. . . 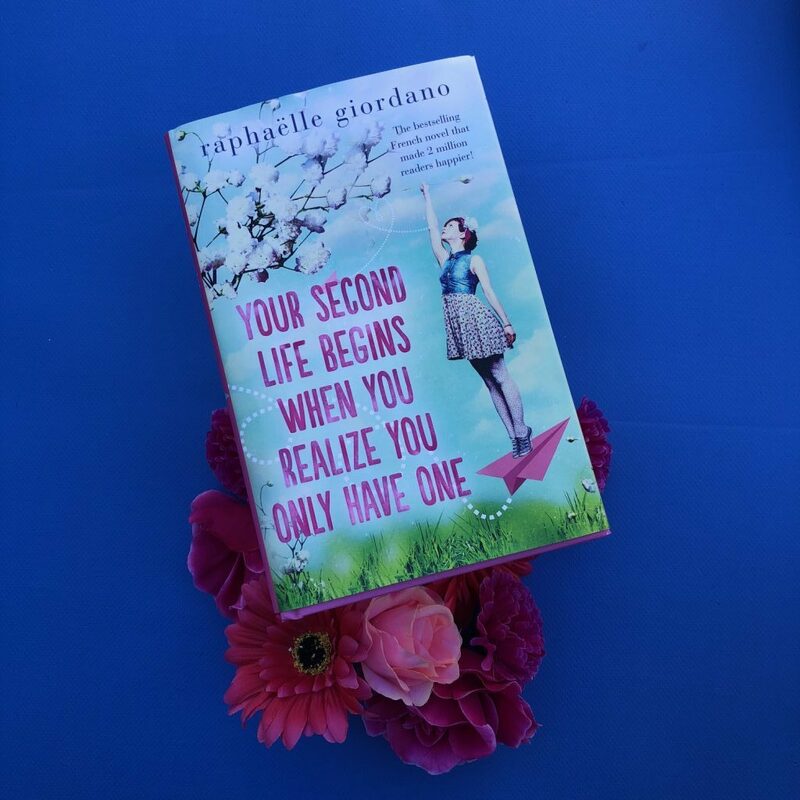 Your Second Life Begins When You Realise You Only Have One by Raphaelle Giordano is a charming novel about a young woman who has everyone she needs, but isn’t as happy as she should be. Originally published in French, this is the first time it’s being released in English. This is a really cute book — bright, fun colours and a gorgeous hardback package. It really shows what kind of story you’ll get between the pages, something uplifting and fun. Thirty-eight year old Parisian Camille overhauls her life with the help of an unconventional therapist. She meets Claude after a minor car accident during a storm, and what results is a series of tasks that she must undertake to find the happiness she feels like she’s missing. Some of the tasks are small, such as cleaning her home. If the reader chooses, I imagine that they could attempt to follow along with Camille. So even though this is a fictional story, in many ways it could inspire readers to make changes in their own lives too. Claude is wise and intuitive, without being overbearing. He inspires change in the character and also the reader, and his friendship with Camille is a joyous development in the book. He is both her mentor, and her conscience. He helps guide her when she’s feeling lost or unsure, and he’s a sounding board when she is starting to doubt the choices she’s made in her life. Whilst it’s a feel-good story, there’s not enough depth to Camille’s story. This story feels like it skims the surface of Camille’s mindset, and I didn’t feel satisfied by the quick pacing and ultimately fast resolution to her story. I would’ve liked the plot to be developed better, so that Camille’s progress felt more believable. Whilst this is fiction, this book will appeal to fans of self help books, or those bestselling titles about how best to de-clutter your life. This is Raphaelle’s fiction debut — she’s published non-fiction before and is trained in communication and stress management techniques. Readers looking for a joyous, fun read will also be pleased.